We’re going to learn composition techniques through one of the best ways there is to do so: analyzing musical masterpieces and reviewing some of the most interesting aspects they got to offer to make them the great artistic achievement they became. In order to do so we’re reviewing two of the most emblematic classic rock songs of all time: Led Zeppelin’s Stairway to Heaven and Queen’s Bohemian Rhapsody. So what are we going to learn? Structural aspects of the music, how these elements interact together, interesting harmonic progressions, chord-melody relationships and other relevant aspects that made these songs the masterworks that are considered today! 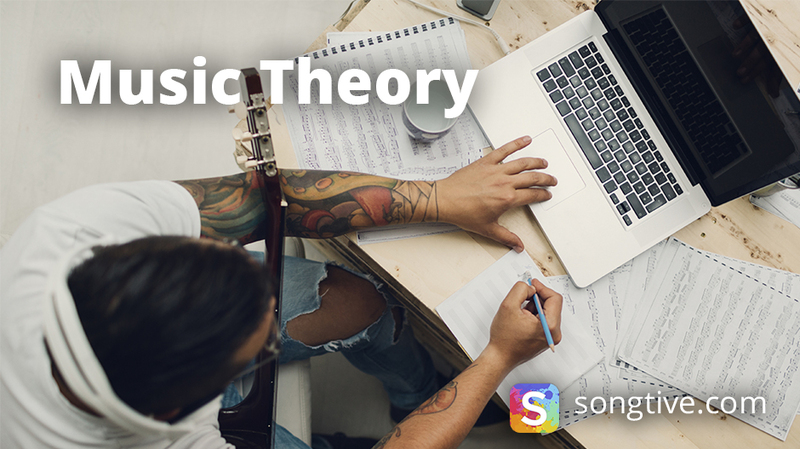 This type of study will help you to get the best out of your favorite music and apply it to your own compositions! In this first part we will be discussing Stairway to Heaven, which will have many things to teach us, so stay with us and check it out! When it comes to song analysis the first thing to do is to divide it into the proper sections and review them separately. Since Stairway to Heaven is such a long song – 8:03 minutes long! – to be clear in terms of the parts that compose it is essential to get the most information out of each one of them! The introduction section of a song is used to establish the song’s key and present some of the musical themes we are going to hear and to set the character: it can be the principal melody, the accompaniment theme, a solo over the main chord progression. From 0:00 to 0:52 we can hear the introduction section. It starts with a classical guitar arpeggio in the key of A minor, and it will be the main instrumental theme throughout the whole song. A secondary melody is played by two flutes, which present some of the vocal ideas we’re going to hear later. This is the section for which this song is recognized worldwide! Character is the one of a ballad: slow tempo, lighter texture and soft dynamics (volume). As you can see, we can find passing tones between the chord tones and the melody notes, which, as we discussed before in the 4 ways to Develop Instrumental Solos article, adds variety and the singing quality this vocal melody has. If you have any doubts on how to get your chord tones, check out our previous articles where we give you all the info you need! After this, we hear the second verse with only a lyrics variation with the same musical ideas we heard before, making it a second verse and extending it to 3:33 for a third variation of the lyrics (therefore it is a third verse) which lasts until 4:18. At 4:18 another new verse is introduced with the addition of the drum set, which adds for interest, contrasting with the mainly acoustic ideas previously exposed. In the next part we will discuss and review the rest of the structure, so you can open Songtive and start to develop your own songs with the ideas we learned today from Led Zeppelin’s Stairway to Heaven! See you next time! Today we are talking about the four chords of pop! It is a four chord progression widely used in pop music through the years, and it has a natural attraction that leaves no indifferent listeners. Based in the previous Doo Wop progression we discussed before, it consists of a I – V – vi – IV sequence played in major mode. Check out these popular songs that use the four chords of pop! So the variety of the genres comprehended in this list will give you the idea of how used is this progression in a popular music context! Common Notes: The major part of the most catchy chord progressions we know share this particular aspect. As long as two chords with two or more common notes are put together, a well sounding effect will be achieved. Dividing the progression in two parts we get two common notes chords linked: I – V and VI – IV. Length: The duration of a chord progression is important when it comes to the song structure. Longer progressions will be used to punctuate a certain musical idea, which helps to the lyrics-music relationship. This particular progression of four chords is mostly used to express a single musical idea because of the amount of chords involved. Contrast: When putting a VI chord after a V chord, since they do not share any common notes, a surprising effect is achieved. The drastic change of moods when going from a major chord (V) to a minor chord placed just a degree above (VI) gives this progression a contrasting factor that engages the listener. If you play this progression against Journey’s first verse you’ll see how perfectly it fits! Meaning Don’t Stop Believing first line – “She’s just a small town girl, living in a lonely world” makes use of four chords of pop to express a complete lyrical idea! I – V: E major and B major are sharing one common note – B note – and make the perfect point to establish the major key since it starts with the chord that gives it the name. V – VI: B major and C# minor doesn’t share any common notes. This will cause a contrasting and engaging effect on the listener. Since both chords are contained in E major key it won’t hurt the stability of the song. VI – IV: The closing of the progression makes use of the two common notes sharing between these two chords. C# minor and A major shares both E and C# as their common notes! The subtle change of mood between them makes it a delightful closing. Now it’s time to practice the effectiveness of this progression in your own songs and musical ideas! Remember to try all these progressions with all the major keys you can think of, so you get used to its sonority! See you next time, when we will talk about modulation – or ‘chord borrowing’, as you may heard it!